Wow! 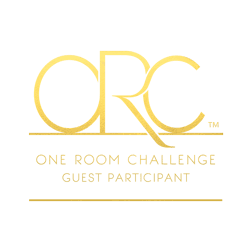 I can’t believe we are back at the start of another One Room Challenge! It seems like I just finished our guest bedroom makeover! 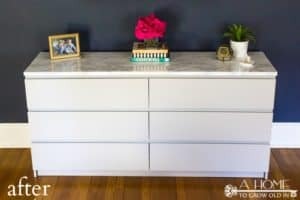 If you’re new to the One Room Challenge, it’s a 6 week challenge to complete a room makeover organized by Linda at Calling It Home. Each Wednesday, you can follow along with 20 featured designers as they complete a room transformation. On Thursdays, there over 200 participants that link up with their own makeovers. 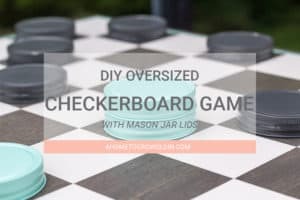 It’s really a fun time for bloggers as it gets us focused on finishing up a room in a short period of time and cheer each other on as we get to the finish line! There’s no winner, the only contest is to get it done in time for the big reveal in week 6! Make sure to check out both the featured designers as well as the blogger participants to see some major home decor inspiration at Calling It Home. This time around I am taking on our powder room. It’s a small room, but it’s our only bathroom on the main floor of our home. The room is attached to our kitchen, and our kitchen definitely has a farmhouse feel with wood beams, a wooden countertop island, and a cast iron stove. I like the farmhouse style, but I usually steer to a bolder, more colorful style like in our master bedroom. 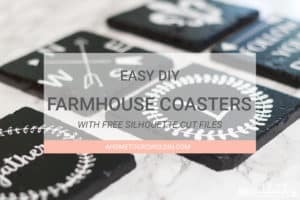 Since the powder room is directly off the kitchen (and a major kitchen makeover is definitely not in the works), I’m planning to mix a little farmhouse with a little more of my own style, so I’m calling this transitional farmhouse. Let’s take a look at a few before pictures, and then I’ll share some of my inspiration for the room. The wood trim in both the kitchen and bathroom are pickled. It doesn’t really come through in the pictures, but it has a pink undertone. As you can see, this room is small. 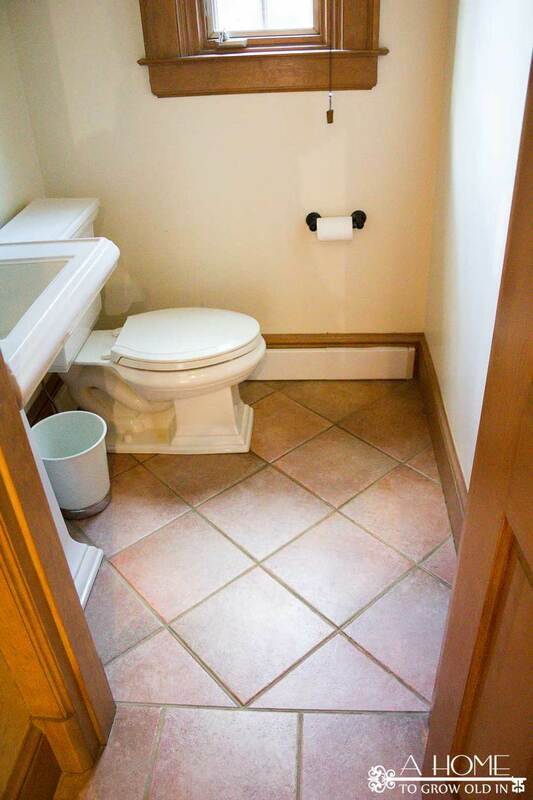 There is a cabinet in the room, but it would be great to find a new sink that has some storage for easy access. I’d also love to update the lighting in here. This room originally had wallpaper when we moved into last year, and one of my very first projects was to remove it. Unfortunately, after I removed the wallpaper, I didn’t do a thing except to float the walls, not even sand them down. 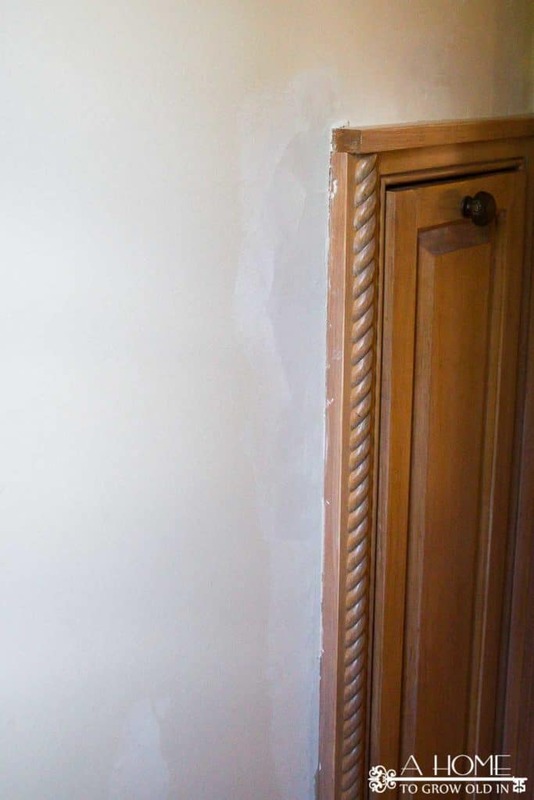 Sanding will have to be done, along with priming the walls before I can do anything else to them. I’m not particularly fond of this rope trim that’s in the bathroom, as well as the kitchen, so hopefully it will be easily removable. Most of our first floor of our home has this pink tile. It’s not in our budget right now to replace so much floor tile, but I’d love to be able to do something with the tile in the powder room. Here are a few bathrooms that I absolutely love, and I’d like to try to incorporate some of their features into my design plan (please go to their site to pin from the original source)! 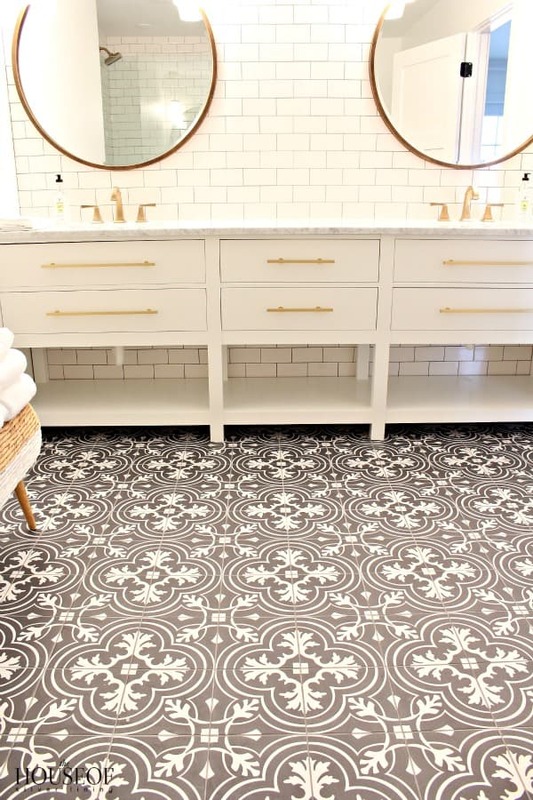 I’ve been drawn to patterned floors lately, and I think they would be a fun way to make a statement in a small room. 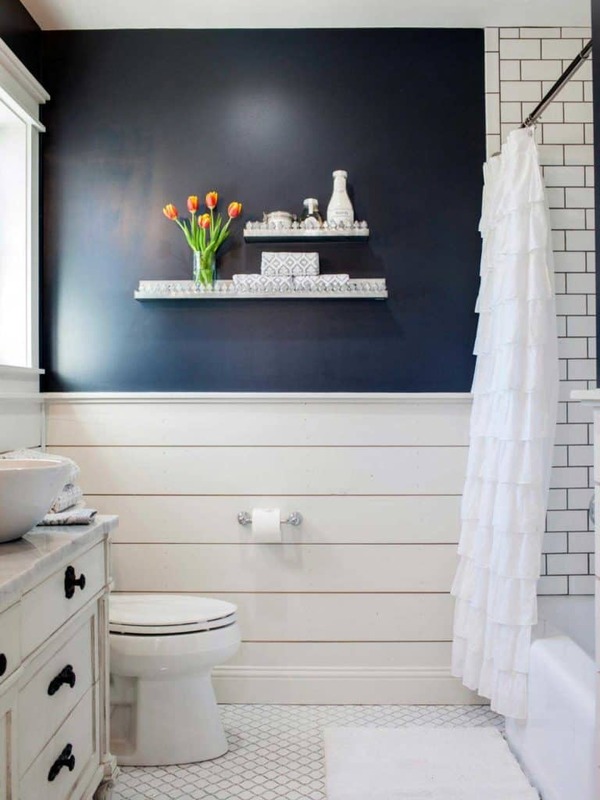 I love black walls when there is a lot of white to help balance them. I recently painted the windows in our sunroom black, and I absolutely love the effect they have on the room. Doesn’t this black window look beautiful against the white window trim? I really don’t want to love planked walls because I see them everywhere, but I do love them. What do you think about just a half planked wall? I hope you’ll come back next week to check out my room design and how I plan to pull all these ideas together. Please sign up for my weekly newsletter so you’ll never miss a post! 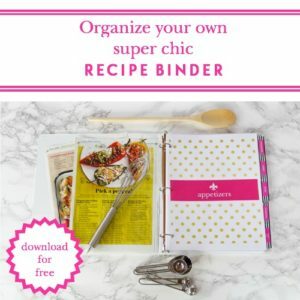 You’ll also receive free exclusive access to my printables library that includes a recipe binder, pantry and spice labels, gift tags and more. If this is your first time here, you may also want to check out a little more about me or our Fall Home Tour if you’d like to see a little more of our home. Don’t forget to check out the designers and bloggers linking up to Calling It Home, and thanks so much to Linda for organizing this! Robin it looks like we have very similar projects going on!! 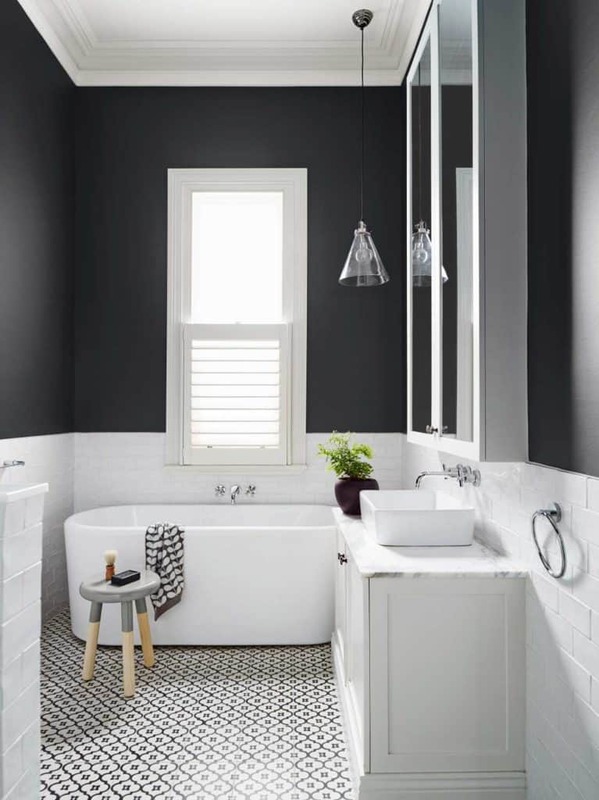 Small bath and dark walls!! Yay! Can’t wait to see what you do! Love your inspiration images! Can’t wait to see with what you end up choosing! Robin…I ❤ that black and white tile you’re looking at…it’s swoonworthy. I can’t wait to see how you pull it all together! 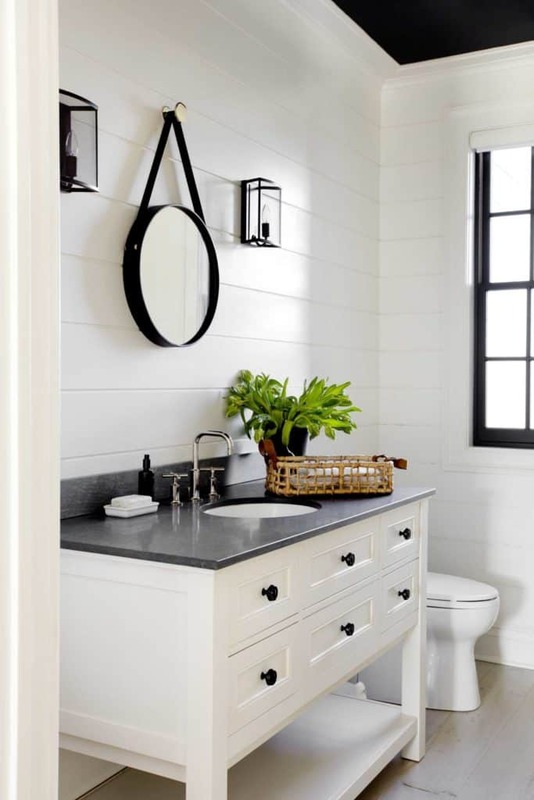 I love your inspiration and can’t wait to follow along as you transform this bathroom! Robin, I love your inspiration photos and can’t wait to see what you come up with. Love your inspirations, Robin! And that tile is one of my favorites! I can’t wait to see how this progresses! I love all of the inspiration pictures. 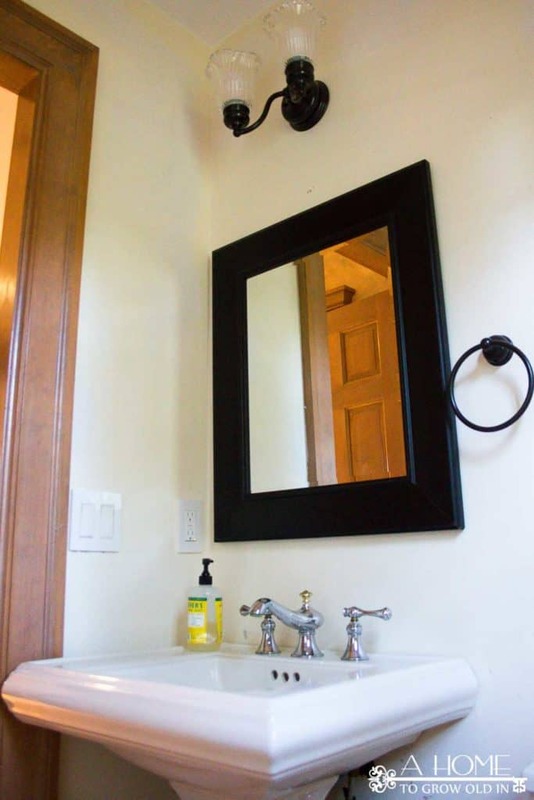 The one where you pointed out the black walls has a great shallow cabinet for the vanity. 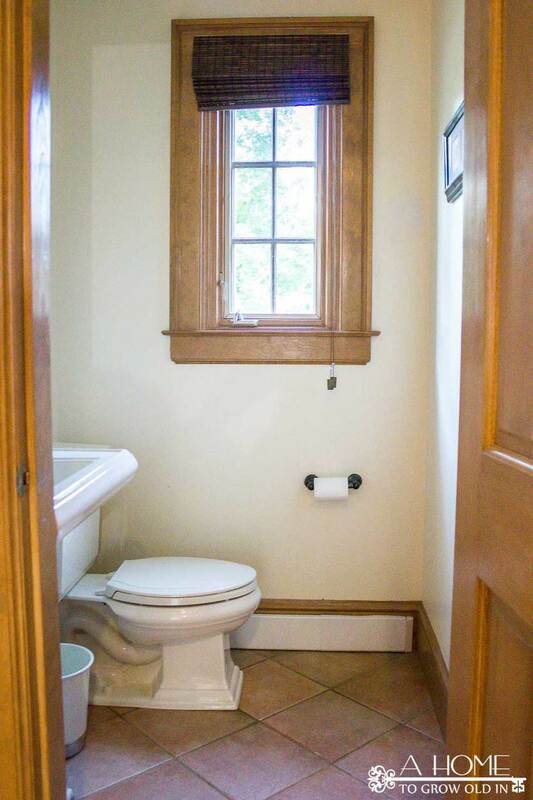 It looks like your powder room may need a slightly shallow one so its back behind the door trim. Just a thought. Can’t wait to see it! Oh I cannot wait to see how it turns out! I love your inspiration rooms! Impressive. Looks so great and fabulous. Thank you for the inspiration.